Blazer by COMMA, – the perfect addition to any modern outfit. Pretty, figure-hugging fit, beautifully cut with on-trend scalloped hem and hook-and-eye fastening. 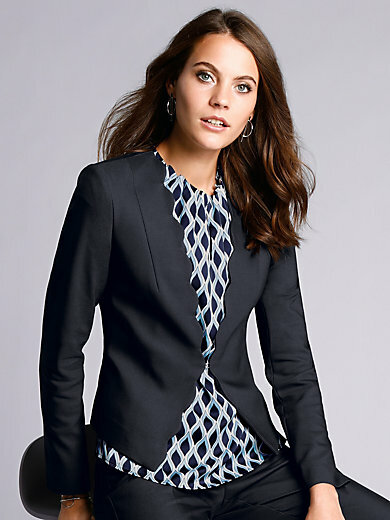 Thanks to the vibrant, crease-free cotton-stretch material made of 57% cotton, 40% polyester, 3% elastane, this blazer has a high-quality look and is wonderfully comfortable. Lining 100% polyester. Length approx. 21ins. The blazer should be dry cleaned.